The controller ILW2 is used to control single colour LED tape with an operating voltage of between 12 or 24Vdc. 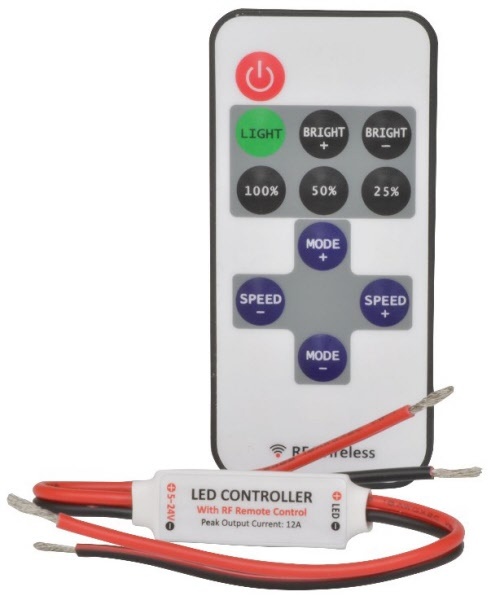 A user-friendly RF remote controller allows the user to set the brightness of the LED tape, activate the preset light levels and adjust fade and rise times. The ILW2 is supplied with hand held transmitter which operates from a CR2032 cell, operating range is approximately 30m.